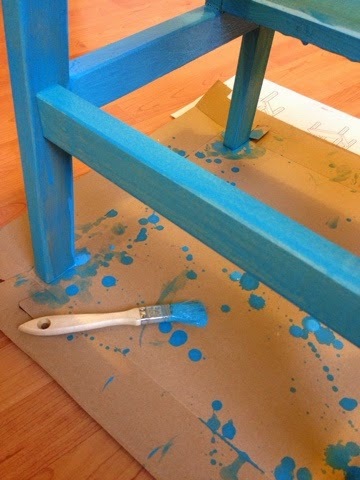 A fun little Saturday afternoon painting project! 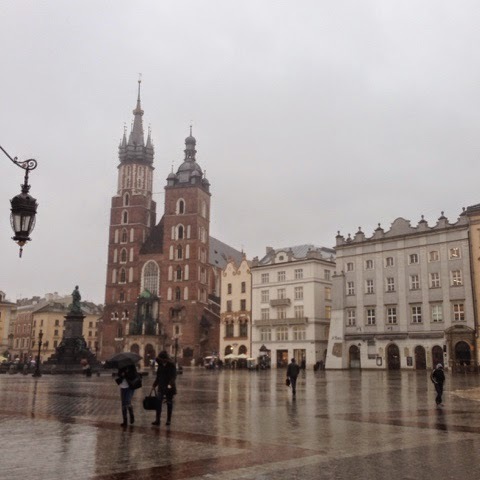 On Sunday I was on the road again - this time to Krakow with six other women who serve JV internationally. 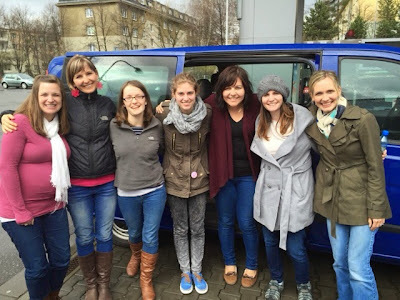 We all live in Czech but serve various international ministries. On our way we saw American troops who were convoying through various central and eastern European countries to reassure their NATO friends that they have not been forgotten or abandoned to Russia. 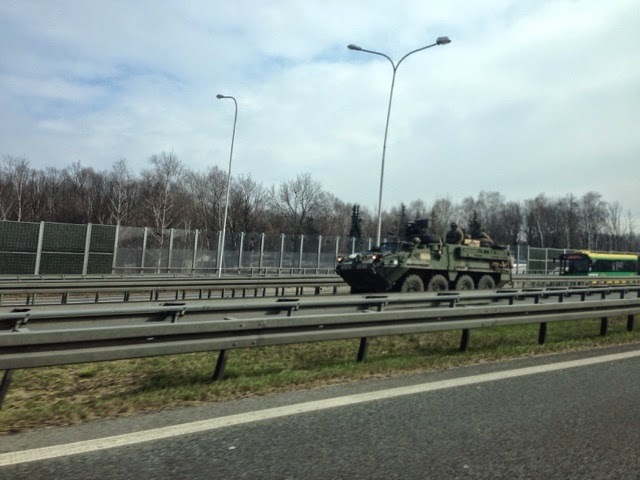 What was crazy was how many Czechs and Poles were out, standing by the road or on bridges, cheering and watching! The women of the retreat! I am so thankful for these women. We spent our three days reading the book of Job and talking about how to do hard things well through Christ's strength. It was a really refreshing time. We also had some fun - including spending time exploring Krakow and this cute little Polish pottery shop. 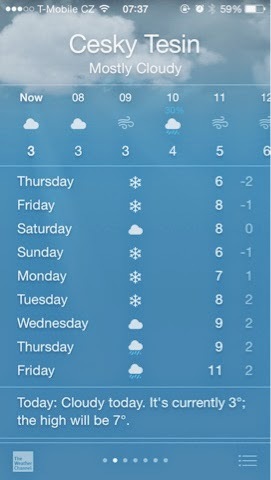 The weather here is a little crazy right now! 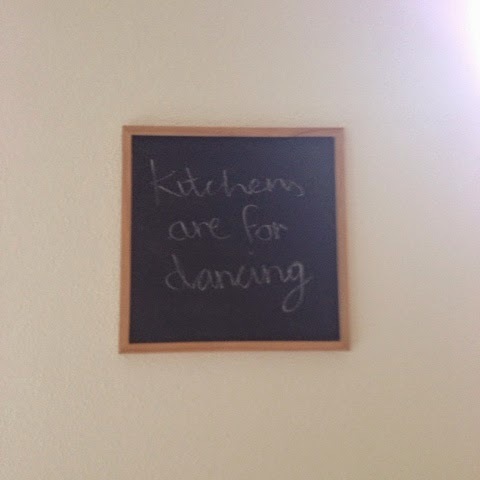 The blackboard in my kitchen is especially true on Good Friday. 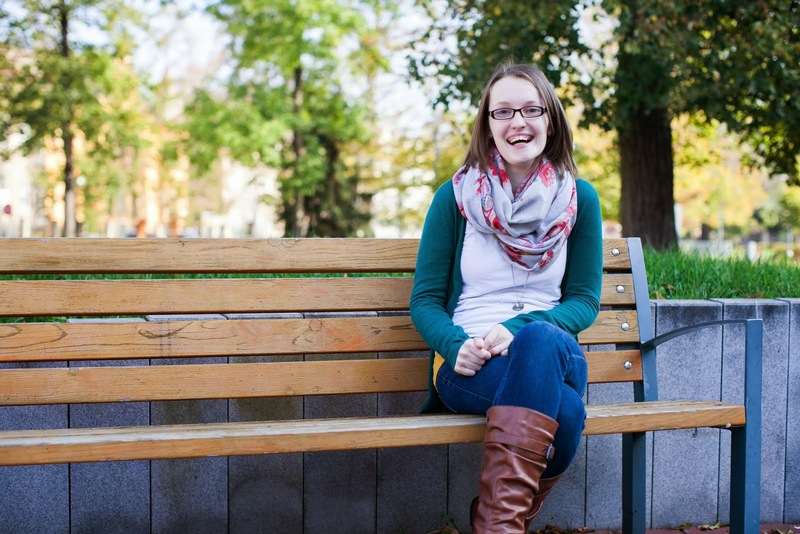 Because of Good Friday I have been rescued and redeemed. It is such crazy grace. 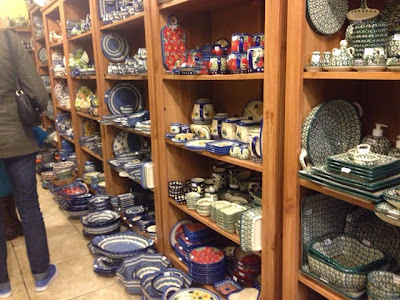 The Polish pottery store makes me want to visit you tomorrow! :) Maybe someday!